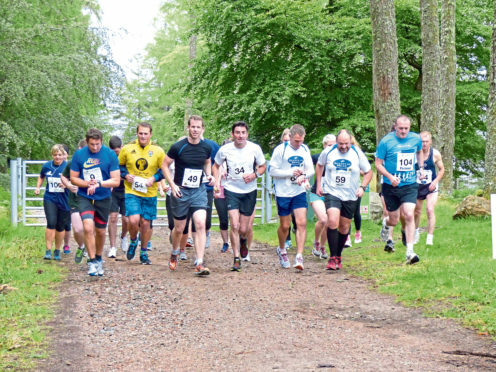 Funds are raised in various ways, including from the Great Glen Challenge. Scotland’s rural charity, RSABI, has commissioned expert advice to model the likely workload and financial demands on resources over the next five years. Senior SRUC agricultural economist, Steven Thomson yesterday presented his confidential findings to RSABI’s 11 trustees and key staff members at a key strategy meeting hosted by DC Thomson at the company’s headquarters in Dundee. Trustees chairman, Ewan Pate, said the charity’s workload had undergone a major shift in recent years and predicted it could alter dramatically after Brexit. “RSABI’s traditional role was providing pensions for people who had retired from the industry, but we are seeing more farm staff and working farmers who are just about managing and are in a vulnerable position if anything goes wrong. That can be injury, illness or the collapse of a market for their commodity,” he said. “We have reserves of £10.26 million which deliver almost £400,000 in annual income, but we have been forced to eat in to these reserves in recent years. The 375 retired farmers and farm workers who get a monthly pension or one-off grant for a specific purpose such as adapting a house for a wheelchair still account for £475,000 per annum, but the charity now spends a total of £1.1million on a growing range of welfare services, including helping people with mental health issues. Three full-time welfare officers and two part-time staff focus on welfare, something Mr Pate describes as a costly process in terms of time, travel and co-ordination with social services. RSABI also runs a dedicated helpline, but many referrals now come via vets, market staff and farm advisers who make contact if they have concerns about the welfare of their customers. “They’re the people out working or canvassing on farms and can spot if something is obviously not right, for example with animal welfare,” said Mr Pate. RSABI doesn’t use funds to help keep a business afloat, but it can provide support in the form of top-up funding to enable a farmer to go through the Government’s farm management review process. “The Government pays the first £1,700 and the client pays the balance, but if needs-be, RSABI will pay. At the end of the review process the farmer may be advised to retire or sell up, but often delivering the message people don’t want to hear is important,” said Mr Pate. The drive is now on to encourage individuals, farm businesses and corporate supporters to pledge annual donations to RSABI in order to provide more guaranteed income. Other funding comes from charity events such as the annual Great Glen Challenge, donations and bequests. The RSABI helpline – 0300 111 4166 – is open every day from 7am to 11pm.